It’s a redeeming day in America when even the most highly organized and well-funded criminals realize how difficult the U.S. legal system is to manipulate. Neumont University – who has spent the last 2.5 years suing, stalking, and harassing me in an attempt to censor negative student reviews of their school from the web – is one such entity. Unfortunately for Neumont, they apparently forgot that outside of Utah, the reach of their powerful “LDS” Mormon friends is still rather limited. Neumont: A Big Fish In A Small Pond? 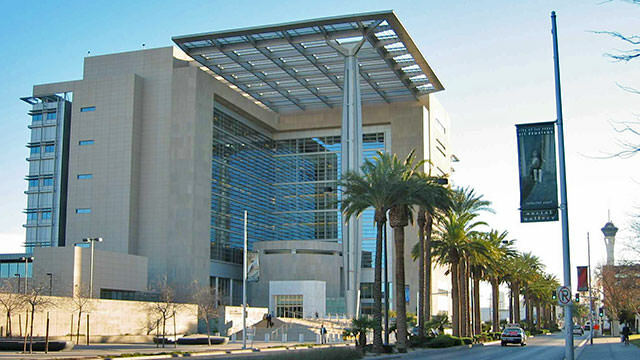 In the case of Neumont – a for-profit technical institute based in Utah that lacks both regional and ABET accreditation – even paying off newspapers like the Salt Lake Tribune and Deseret Times, hiring one of the largest law firms in the western United States, getting two judges on their “SLAPP lawsuit” docket both of whom have a history of colluding with Mormon figures, and threatening their own students and faculty against speaking out… STILL didn’t prevent an embarrassing, and costly, courtroom loss. Of course, the best part of all is that I spent exactly $0 on a legal defense. On February 9, 2015, I gave Neumont University, LLC until February 19, 2015, to serve defendant Jesse Nickles “by email at jesse@littlebizzy.com and file proof of this service.” Doc. 69 at 9. More than a month has passed since this 10-day service deadline ran, and Neumont has not filed proof of service or explained why service of the filing of the notice was not possible. … As Neumont has apparently elected not to avail itself of these extensions of the service deadlines and the ability to serve Nickles by email, I now give Neumont until April 1, 2015, to comply with my prior instructions or have its claims against Nickles dismissed without prejudice and this case closed. After proceedings dragged on for more than 2 years, Neumont’s legal costs had jetted past $100,000 according to court-required disclosures (which Neumont had unsuccessfully attempted to hide from the court), despite claiming initial losses against my web hosting business, Little Bizzy, of only $72,000 (the lost revenue of one student who allegedly decided not to attend Neumont after “reading negative reviews” of the school on CollegeTimes). Due to my financial inability to hire a corporate attorney, the case eventually went into default judgement, at which point Neumont suddenly (and without explanation) changed their lost revenue claims to be over $1 million. What never ceases to amaze me is how pretty much every single for-profit diploma mill falls into exactly the same pitfalls; specifically, scam schools like Neumont and their president, Edward “Ned” Levine get so carried away running their corrupt little fiefdoms and are so thoroughly cut off from reality that they literally can’t see beyond their own minuscule worlds of fraud, threats, and ego-stroking power trips.